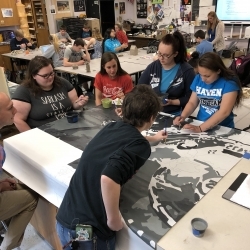 "Dancing with the Walk In Stars"- Preparing for the Big Night! "Dancing with the Walk In Stars'" contestants prepare for Saturday, May 18th event as they attend boot camps. 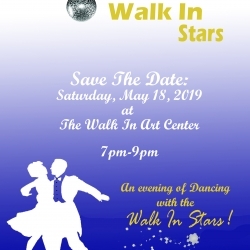 Dancing with the Walk In Stars, Coming this May! 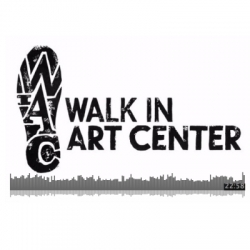 The Walk In Art Center has been busy preparing our dancing shoes for a special night of fundraising, coming Saturday, May 18! General Admission Tickets are now available! 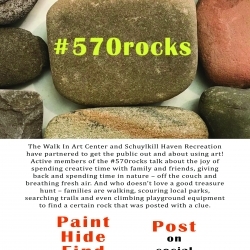 Philadelphia Mural Artist Jonathan Laidacker, in partnership with the Walk in Art Center (Schuylkill Haven) and Jump Street (Harrisburg) is creating a community mural, coming soon to down Schuylkill Haven. 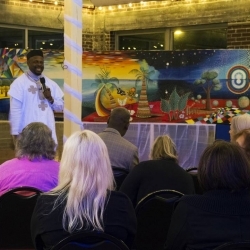 On Thursday March 1, local students were treated to a presentation by Ibiyinka Alao, United Nations Art Diplomat for Nigeria at Martz Hall. 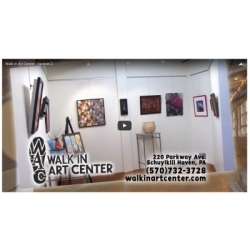 We're getting the word out about The Walk In Art Center through WVIA our local PBS station. Everyone is welcome to visit us during business hours: Monday through Friday 9am - 5pm and Saturday 1pm -5pm. 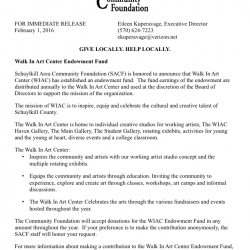 The Walk In Art Center is undertaking a project to help preserve the history of the Walkin Shoe Company which formally occupied our building. 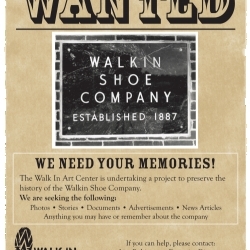 If you have any information on the history of the Walkin Shoe Company we would appreciate your assistance.